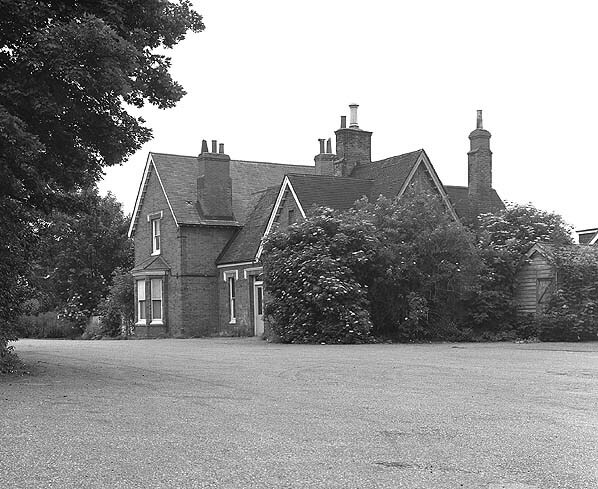 Present state: Although the main station building is still extant the goods yard and platform is covered by a new housing development (Fairfield). Notes: Buntingford was one of the many thriving market towns in East Anglia that was bypassed by chance or design by the main lines. When a bill to construct a new route between Ware & Cambridge passing through Buntingford failed, a public meeting was held on 1st August 1856 in Buntingford to discuss the feasibility of building a branch line to the town from Hertford or Ware. At a second meeting later that year a route from the Eastern Counties Railway's Hertford branch to Buntingford was adopted and an application was put before parliament on 11th November 1857 for the incorporation of the Ware, Hadham & Buntingford Railway. 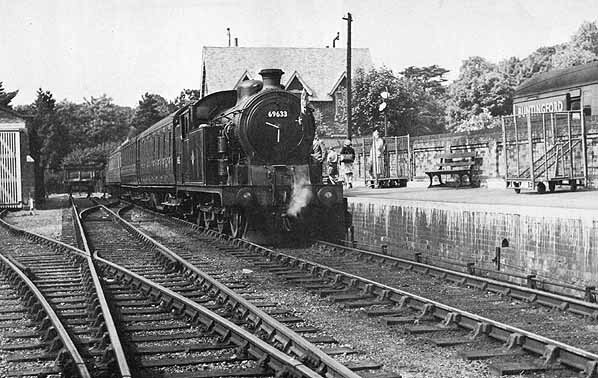 Buntingford was built as a through station with a single platform on the up side of the line. 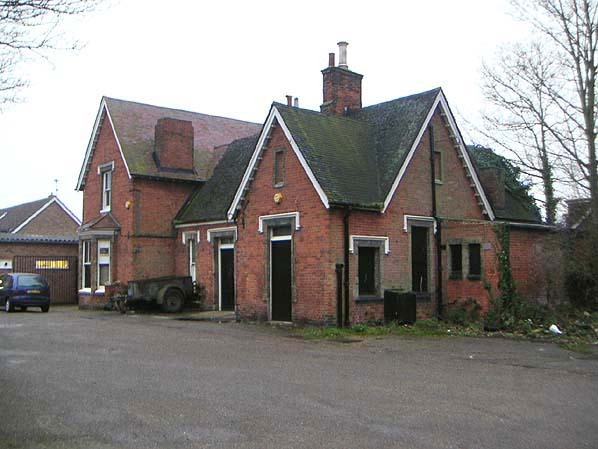 The brick buildings and brick station house were all original, remaining in use until the closure of the line. Opposite the main station building there was a large goods shed and stables with a goods office and coal office. The goods yard was the largest on the line with a complex of sidings serving coal storage bays and cattle pens; there was also a private siding to the south of the coal siding. The goods yard also had a weighbridge, office and loading dock. The signal box and water tower were at the south end of the platform and behind it another siding used as a shed road for the locomotive with an inspection pit, coal stage and turntable. 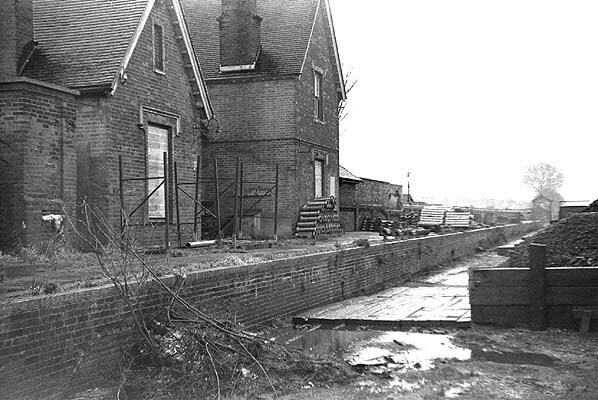 Buntingford Station in November 1968 - the original wooden WHBR buildings are still in place.